There are all kinds of craft projects that we undertake, often these are short term and small in scope. This page is designed to hold these diverse builds. Some were experimental and some were just a challenge, while others were just an interesting activity! These curses were rolled up, a nail hammered through and then cast into a sacred pool. The gods of the underworld would read the curse (in Latin) on the lead tablet and wreak vengeance on the victim named within! 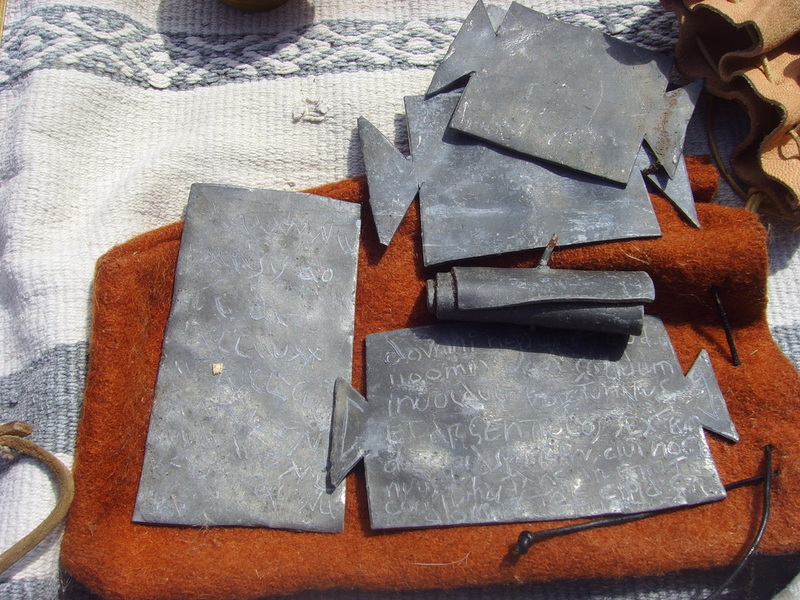 Made of hammered lead sheet, cut into a tabula ansata shape. A Roman stylus was used to write the curse (all copies of originals found at Roman Bath, in Latin cursive).